For us our experience of China can be summed up in three words. Intense but rewarding. It’s a country we believe anyone interested in travel and learning about other culture simply has to visit. 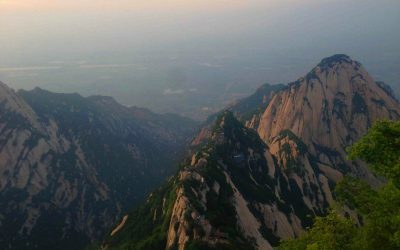 So to help you plan your own trip, we recorded in full our backpacking China budget. 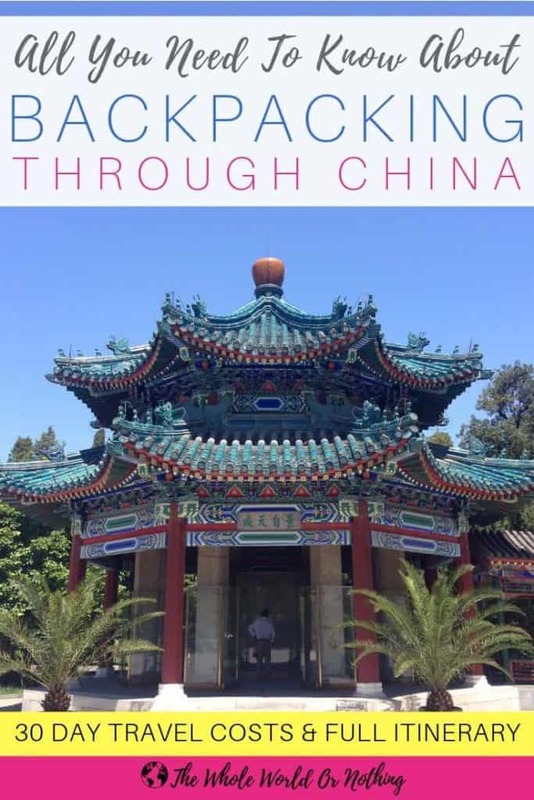 There’s also lots of helpful first time traveller tips for backpacking in China. 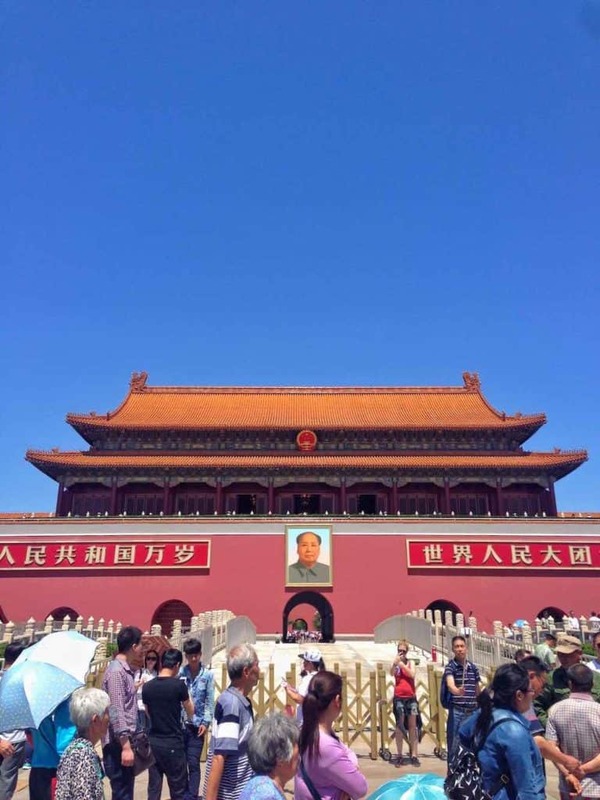 Including our exact China itinerary, tips on how to stay safe while backpacking China, the cheapest time of year to visit, essential travel apps, internet censorship advice and China visa requirements. China is a country of contrasts. 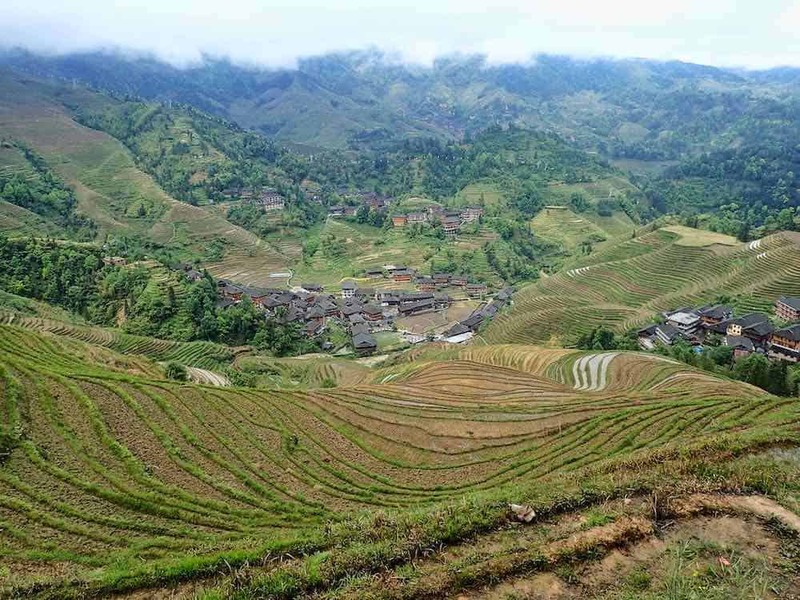 First there’s the comparison of the megacities with the extreme rural landscapes. Then the notion that backpacking China can feel like you are constantly transitioning between a developing and a developed country. When compared to countries such as Thailand in nearby Southeast Asia, China travel costs can be considered relatively expensive. However for travellers from western countries such as the US or Europe for example, backpacking in China is still cheap as chips. 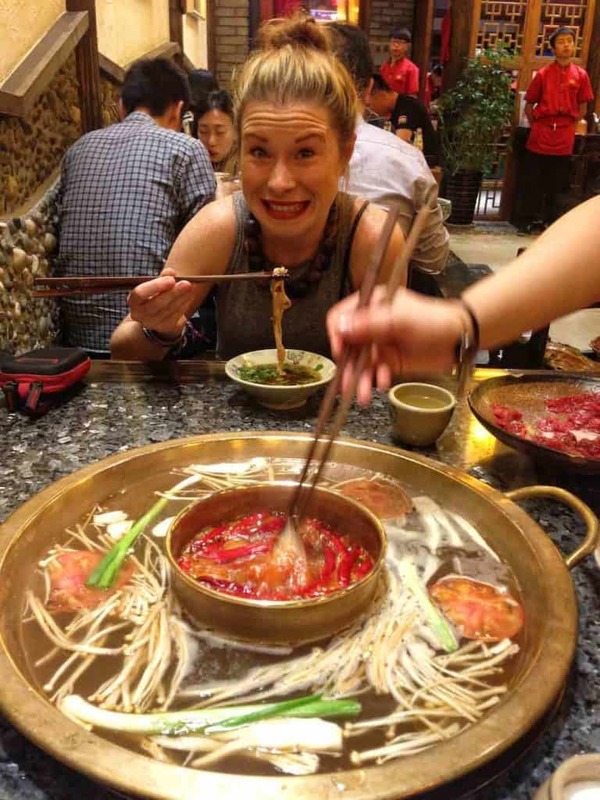 We absolutely loved everything about backpacking China; the people, the food, the culture the landscapes. We can’t wait to go back to see more of it one day. Here’s all the facts and figures you need to put together your China travel budget. *Includes all transport, accommodation, food, drinks, entrance fees, toiletries etc. The cheapest form of accommodation in China is hostels. In the lesser developed areas of the country you can find plenty of mixed dorm beds through HostelWorld for as little as 27 CNY ($4 USD / £3 GBP). Where as in larger and most developed cities, such as Shanghai and Beijing, it will closer to a minimum of 88 CNY ($13 USD / £10 GBP) by comparison. 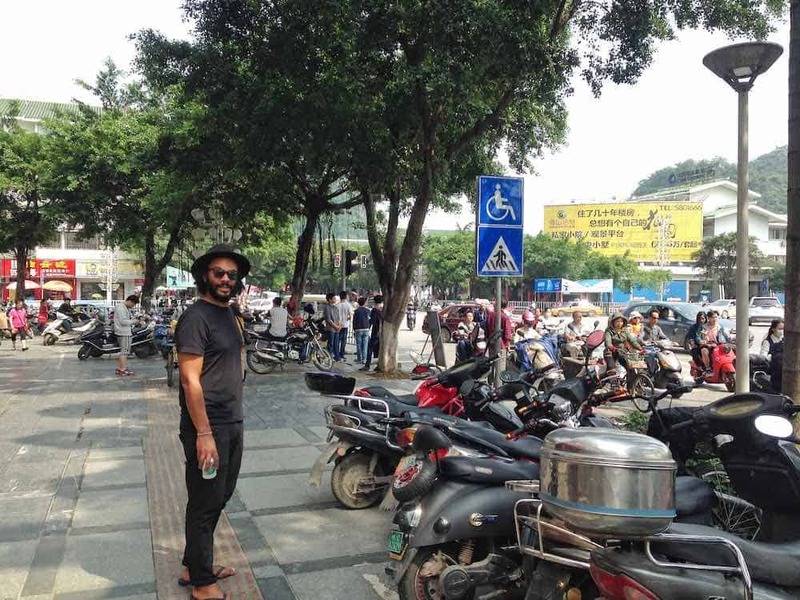 Outside of the bigger cities, like in Guilin for example, we found that private rooms in hostels were not much more than the cost of 2 beds in a dorm mixed dorm room. We’ve stayed in our fair share of hostels over the years and were impressed by the quality of them in China. Well designed social spaces, clean and modern facilities, fast internet and friendly english speaking hostel staff on hand. Unless you speak the language, getting around in China can be somewhat of a challenge. But the staff in our hostels would write out the places we were going or things we needed to communicate in Chinese on notes for us to take with us each day. It was the best. We didn’t use Airbnb’s in China but there are lots of good quality places. Big city wise, you’re looking at around $20 USD / £15 GBP per night for a room in a shared house. Outside of those you can find places for $15 USD / £10 GBP per night. There are plenty of entire places available for rent through Airbnb too. But in our opinion you are always best to stay with someone. Because not only is it a more ethical, you get to find out all the best stuff that most tourists won’t experience. Okay, first off the food in China in ridiculously delicious. And until you have eaten Chinese food in China – you haven’t eaten Chinese food. So if you are thinking of trying to save costs by cooking yourself. Don’t even think about it. 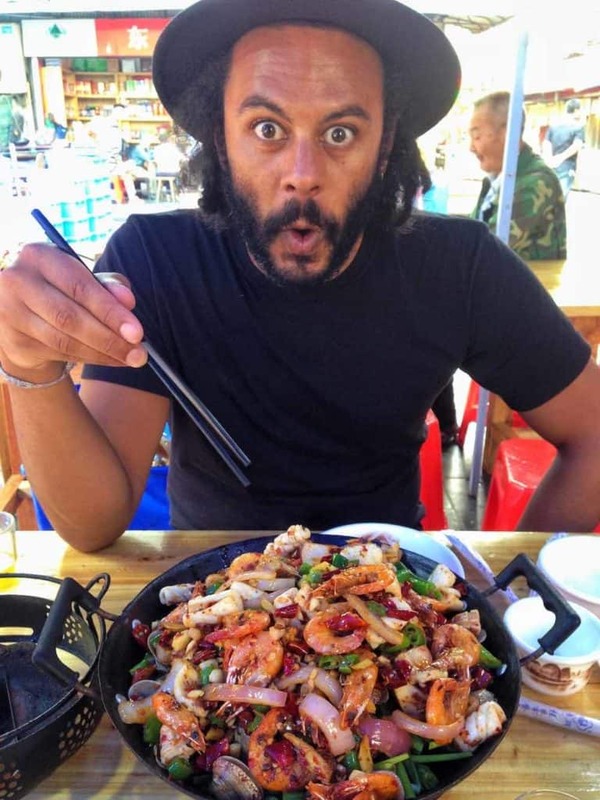 Not only because you would be mad to miss out on the cuisine, but because you’ll be hard pushed to find anything more than boiled water for packet noodles in most hostel kitchens in China. 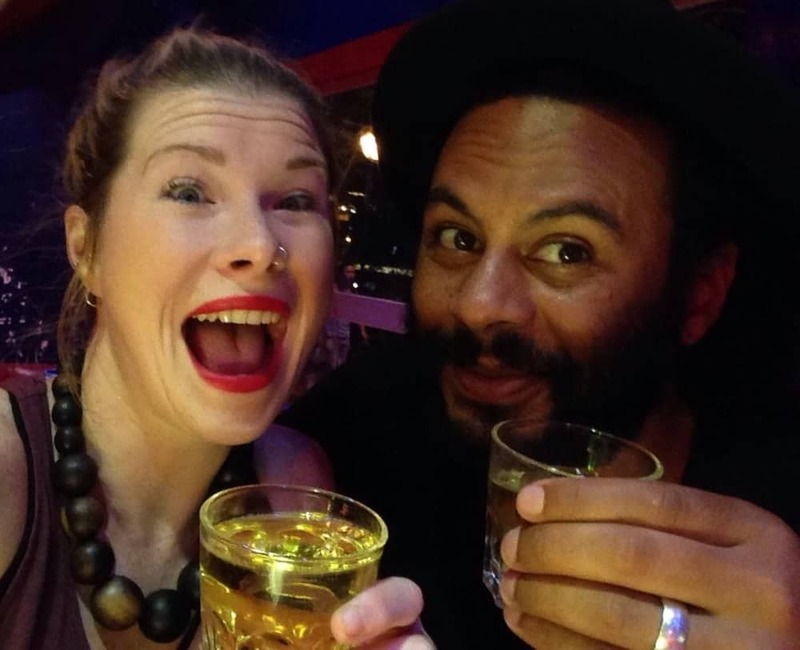 On average we spent £13 GBP / £17 USD per day for both of us on food. That works out at around only £2 GBP / £3 USD per meal. So you really can’t go wrong when it comes to eating out and still looking after your backpacking China budget. We ate lots of street food and the rest of the time chose local restaurants. Portions are generous so you could cut your meals down to two per day to save on costs. We couldn’t bring ourselves to do this however and left China a little fatter than when we arrived. 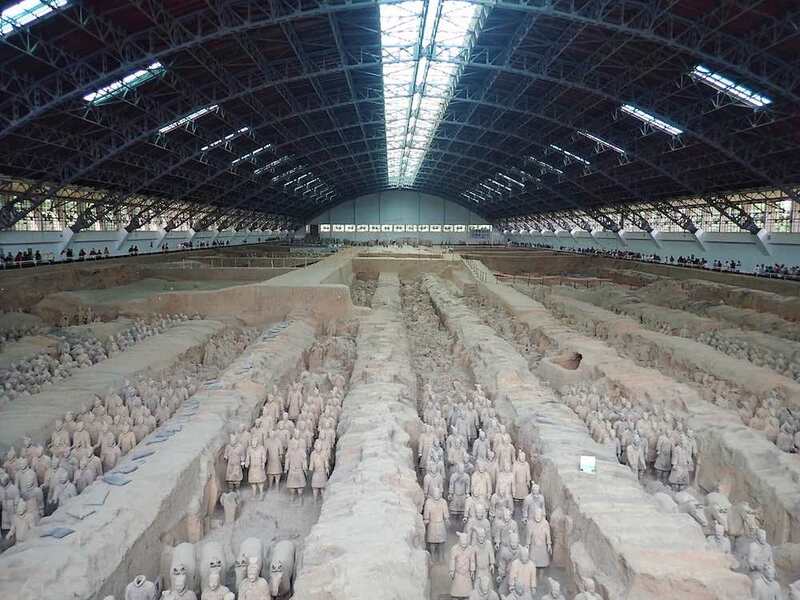 Check out our video on the Muslim Quarterin Xi’an and you’ll see exactly what we’re talking about. Be prepared for your mouth to water! There was no way we were missing out on any of that delicious grub. 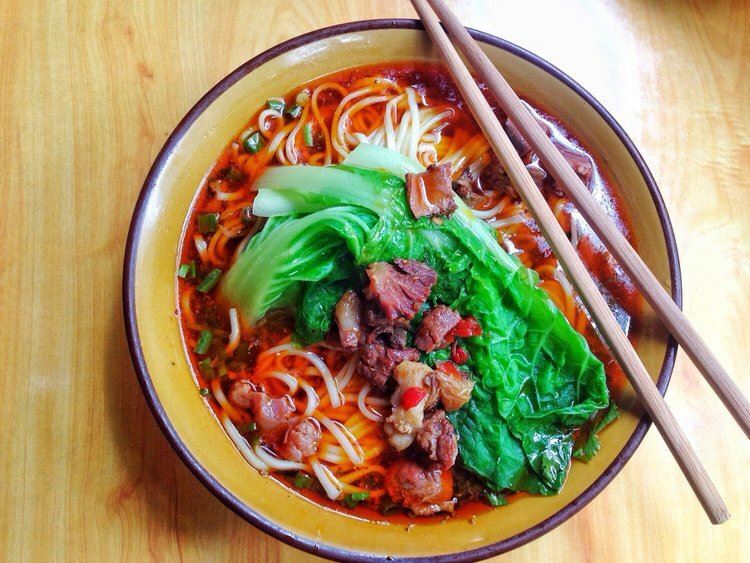 If it’s going to be your first time eating street food or you’re worried about getting ill while backpacking China, you can check out our guide on how to avoid getting sick while travelling. The most cost effective way of travelling long distances in China are overnight conventional sleeper trains. Options range from seating only, to hard and soft sleepers. Hard sleepers are the cheapest sleeper option with 6 people to an open cabin and triple bunk beds with limited space. Soft sleepers have 4 people to a more private closed cabin. They have double bunk beds with more space and less people to share generally cleaner toilets. You need to book trains in China at least a few days in advance as they often get booked up. Luckily there’s a fast and simple way to do that. Depending on the itinerary you put in, you will be given high speed and conventional train options. All you need to do is select the best price and time for you, fill in the passenger form and pay. It is possible to also select seats on some of the train routes. Where you don’t have the option they will automatically be assigned. Then you’ll receive an email containing an electronic voucher with a ticket collection number that has been issued by China Railway. Please be aware that the electronic is is NOT a valid boarding ticket, you then need to pick up a physical ticket at the train station. Which is a bit of a faff because you need a printed copy of the electronic voucher and your passport. And the queues are crazy on a good day. However you can collect tickets in advance at any train station, so to save if you book all your train tickets, you can in theory pick them all up at the same time. If you do opt to just pick them up on your day of travel allow yourself at least 2 hours to do so. It’s always worth checking out flight options too. We managed to score an internal flight between Guilin and Chengdu that wasn’t much more than the train and took about a quarter of the time. We always use the flight comparison search tool Kiwi.com. But regardless of your backpacking china budget, if you are looking to experience proper Chinese, you really can’t beat the overnight sleeper trains. 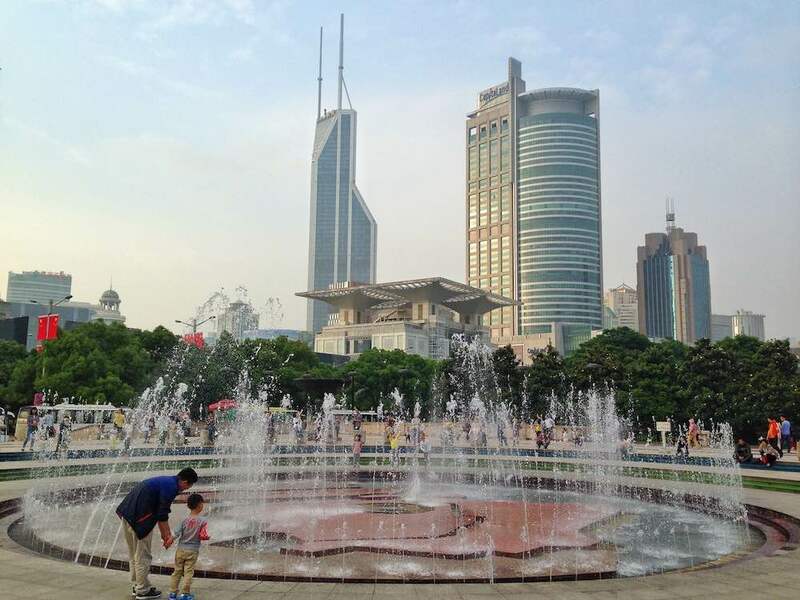 Whether you love it or hate it, they are packed full of culture and offer a real insight Chinese life. China is one of the most expensive countries we’ve been to with regard to attraction entrance fees. Particularly when compared to the low local living costs. But in such a diverse country with so many fascinating, world renowned attractions drawing hordes of tourists, the tourism industry knows they can charge it and people will pay. Many attractions offer discounted student rates and so you can try your luck with anything from a driving licence to a PADI diving card if you aren’t an actual student. It used to be very easy to do, but many tourist attractions are becoming wise it now. 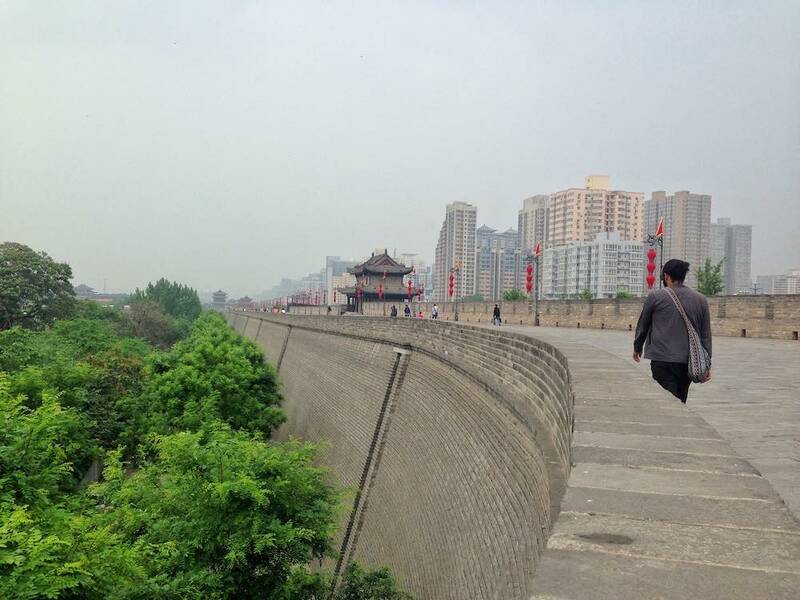 While backpacking in China, we actually spent more on activities and entertainment than we did on accommodation. 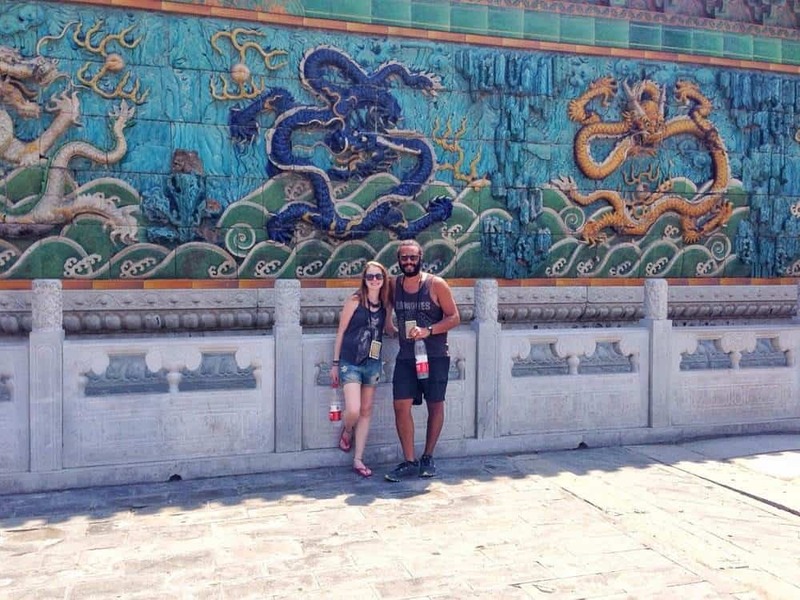 This was a conscious decision because staying in budget places and eating cheaply allowed the wiggle room in our China travel budget to visit all the sites we wanted to. 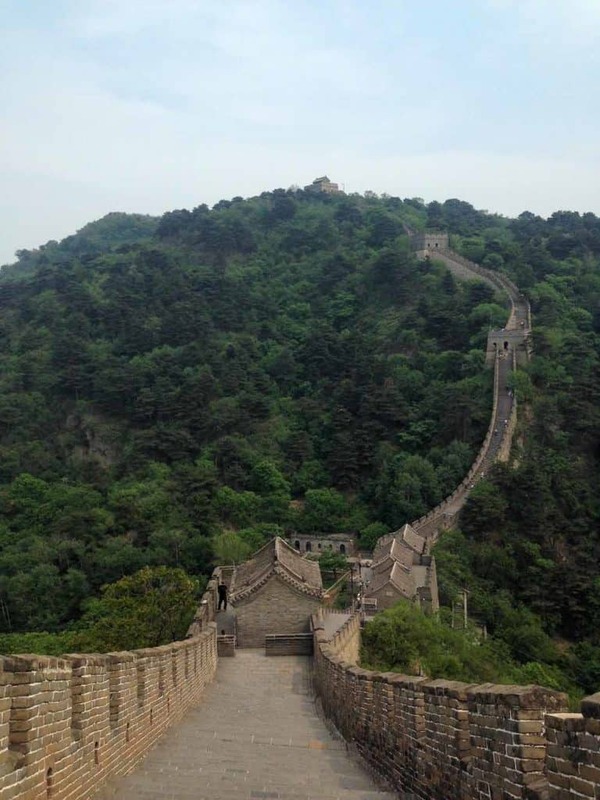 Here’s the exact costs for activities and sites we visited while backpacking China. If you enjoy trying out the local beers while you are travelling, you are in luck in China because alcohol is relatively cheap so won’t make too much a dint in your trip to China cost. It’s around £0.30 GBP / $0.40 USD for a can of beer. And you can drink anywhere in China so it’s no problem to just sit out in a park and enjoy a beer from a shop rather than pay the inflated prices that bars and hostels can charge. Along with a substantial expat crowd, there’s a big party scene in Shanghai where you can easily spend more than intended. Although we managed to have a night out on bar street and went to a club afterwards while keeping spends to £60 for the both of us including drinks, club entrance and taxi back to the hostel. Not it’s not too bad, you just don’t want to do it every night. For us miscellaneous china travel costs included toiletries, laundry, clothes and travel essentials such as replacement computer screens and battery rechargers. Unfortunately, we cracked our computer screen and had to fork out for a new one whilst we were in China so this pushed our costs up by £38 GBP / $50 USD for this section. I also dropped our battery charger and so we replaced this. The good news is that if you do need to buy replacement electronics while on your travels, China is a good place to do this because it’s relatively inexpensive. There’s a Japanese owned shop called Miniso that has lots of good quality electronic equipment amongst other things. Laundry is very cheap within hostels, we didn’t spend more than £2 a time for this. 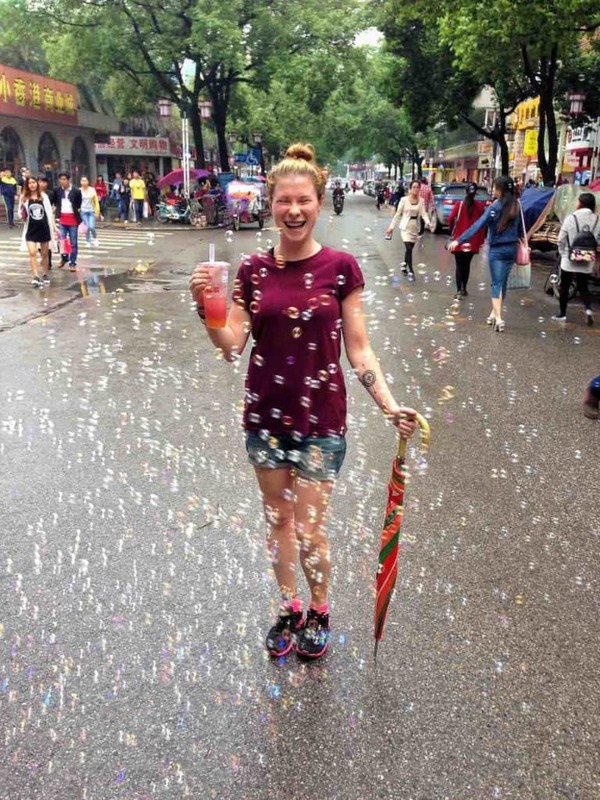 Because we were six months into travelling when backpacking in China we needed to replace a few items of clothing. Again China is a good place to do this and there are plenty of options. With just a 30 day visa to travel China, we were determined to see and experience as much as we could of the vast and diverse country. We started in the South and worked our way up North, from the quiet country life of Guilin to the crazy big city life of Shanghai. 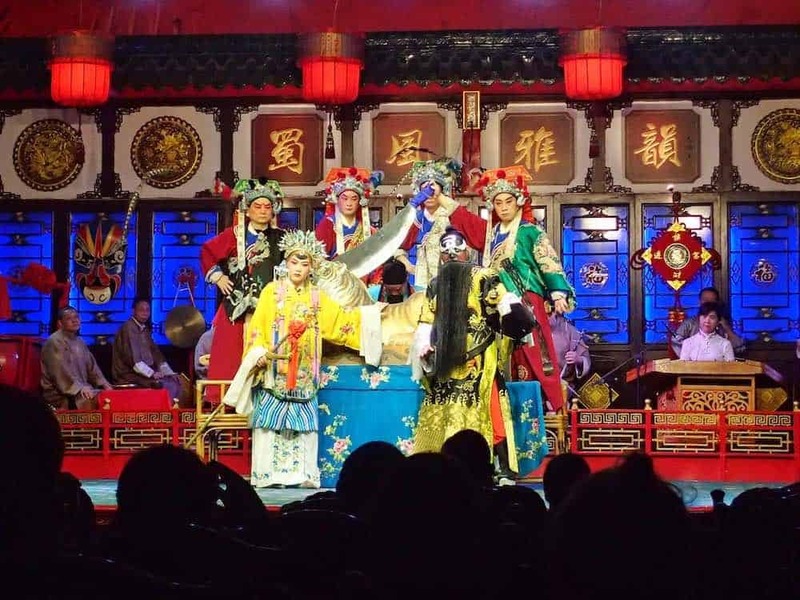 We were awed by the Great Wall, enchanted by the Forbidden city, taken aback by the Terracotta army, enthralled with the talents at opera and acrobatics shows, survived the world’s most dangerous hike and an intense Chinese massage. And all for just £32 each per day. 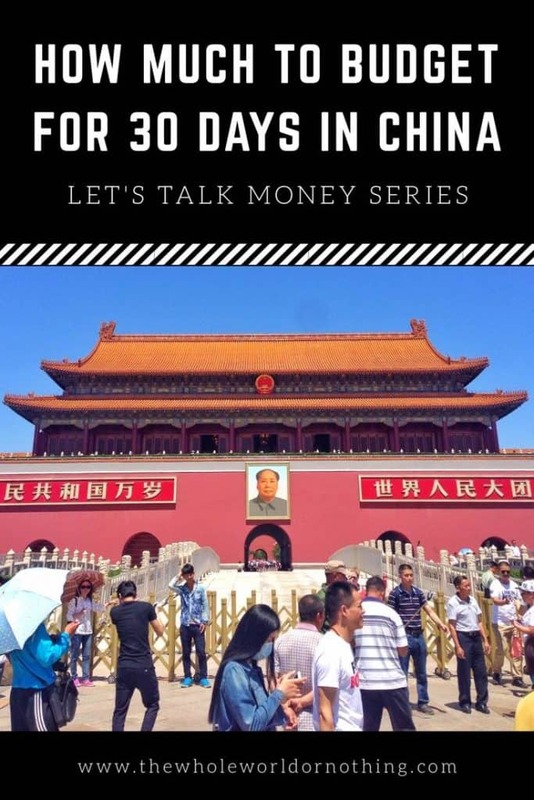 Here’s our exact itinerary for 30 days backpacking in China. As with any backpacking itinerary, staying for longer in places can dramatically cut down on transport costs. And you can often get deals on accomodation for booking places for longer. Unfortunately due to our visa restrictions we didn’t have this option as we needed to move quite quickly to pack in everything that we wanted to experience. 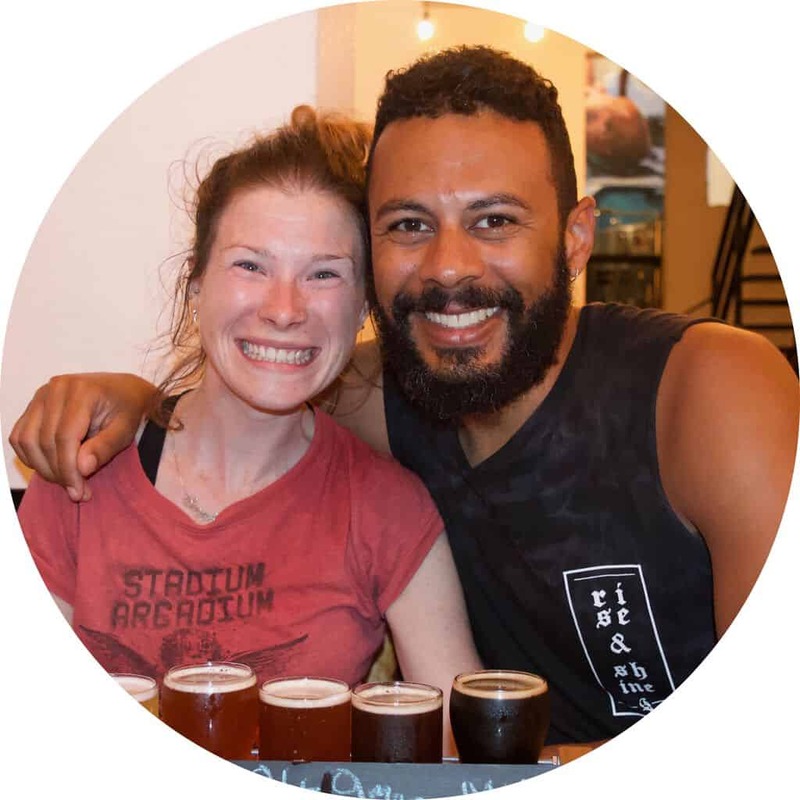 If you’re up for more local experience, couchsurfing is growing in popularity as more people are looking to practice English with native speakers. Hitch-hiking is also a thing. 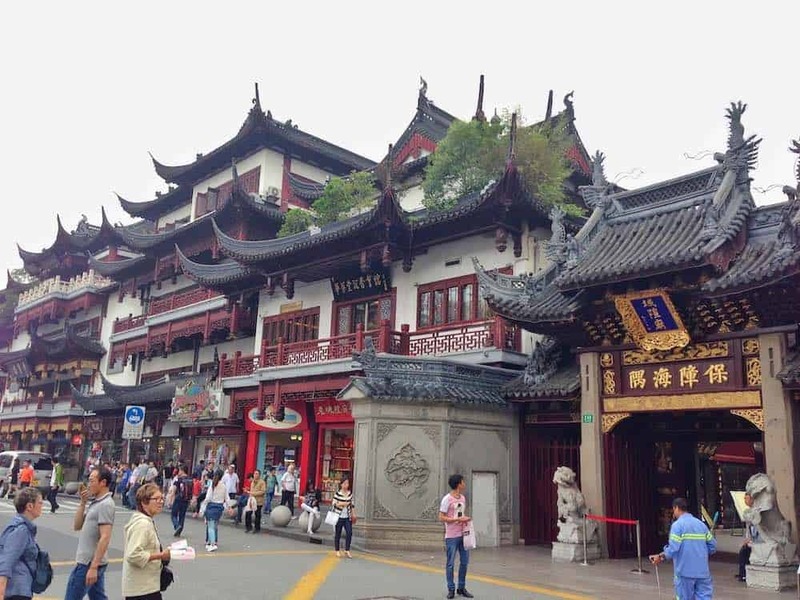 Although if opting to save money backpacking in China through this, it’s wise to have at least a basic level of Chinese because outside of tourist hotspots English is sparse. In our opinion hard sleeper overnight trains are your best option because as well as the transport, they also save you a nights accommodation cost. Portions need to be massive in many Chinese restaurants too so if you need a save a little more, you could try cutting your meals down to two per day. Also tipping isn’t a thing. People will just think you’re being weird if you try to do this so save yourself the embarrassment and some dosh. When considering the cheapest time for backpacking in China, you need to plan your trip around the big Chinese National Holidays. Chinese New Year is the obvious big one, this changes each year depending on the lunar calendar but is usually around February time. The there’s Labour Day on the 1st May that you’ll want to avoid and also National Day on the 1st October which leads into Golden Week. As in most countries summers are generally when most tourists arrive and hence prices increase. So for those looking to keep their China travel costs low Spring (March – May) and Autumn (September – November) are good options. Especially in the north, winters can be extremely bitter. But bear in mind China is also massive so has varied weather patterns. In a word, yes. 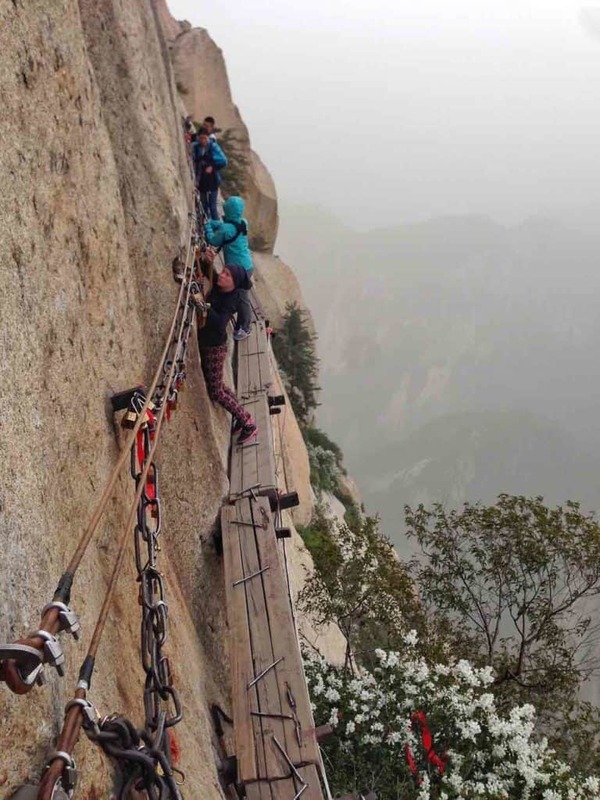 We had absolutely no issues whatsoever safety wise while we were backpacking China for 1 month. It’s more that the country in general is crazily chaotic, which can catch you off guard and make you more vulnerable. To first time visitor it may seem like the Chinese are rude and even aggressive in some instances, but it’s just how it is. It’s the culture. People will approach you all the time to take photographs of you, sometimes just shoving a camera in your face without asking. To give you a few more examples, the language sounds harsh and people shout, They also hate queuing so you can expect a fair amount of pushing and shoving in busy places such as when collecting tickets in train stations or boarding buses. There’s also a lot of hocking and spitting in the streets. And if the air pollution isn’t bad enough in the megacities you’ll have the smoking contend with. Everywhere. Trains, restaurants, you name it, someone will be puffing away. It takes some getting used to, but trust us, it’s worth persevering with. 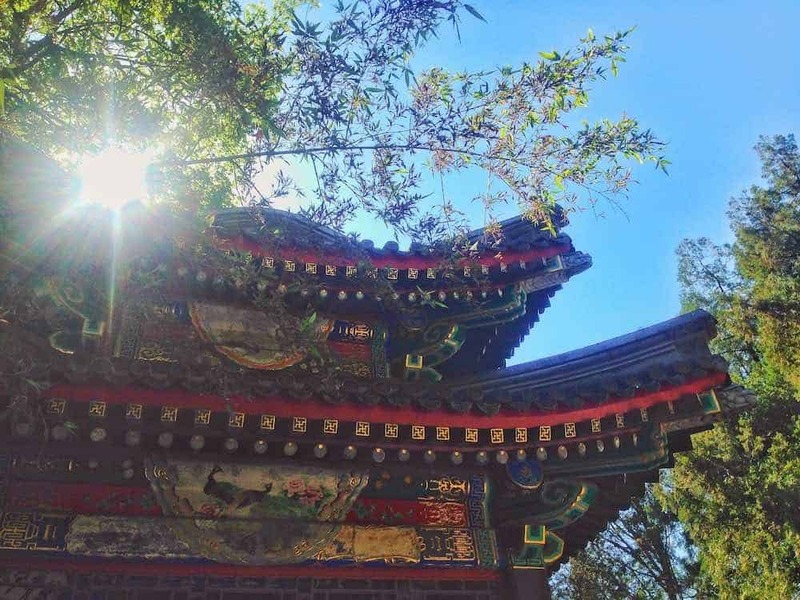 Because if you can get on board with the distinct difference in culture, backpacking China makes for a hell of an incredible travel experience. In all seriousness however, big city pollution levels can be extreme and dangerous. So if you are spending a considerable amount of time in them or are particularly sensitive, you should consider getting a filtered face mask to wear while backpacking in China. While we’re on the subject of health, there were also times while we were backpacking in China that we found the sanitation to be somewhat questionable shall we say. This was mainly where public toilets are concerned. Squat toilets move over, there’s a new kid in town – the trough toilet where ‘waste’ slides down a gradual slope. Yep. Wash your hand on the regular and always have travel hand sanitiser with you. Oh and your own stash of toilet paper. 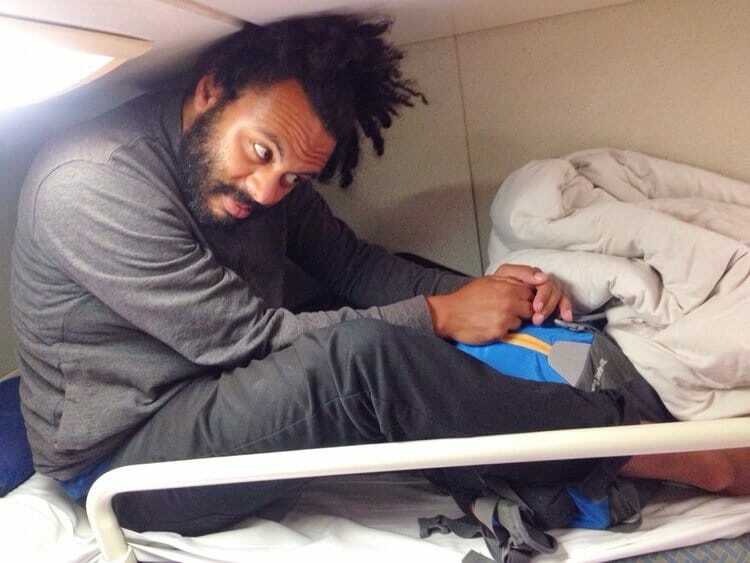 Due to space, it won’t be possible to have all your bags with you on the overnight sleeper trains. So keep your valuables in a smaller bag with you and get yourself one of these helpful locks to keep your bags secured to the luggage racks they’ll be in. When it comes to common travel scams in China, they usually come about through someone being overly nice or helpful so watch out for that. Tea shop scams, where you’re invited to try something for free only to be presented with a huge bill or pressured into a extortionate sale. We also got done on our way to the Great Wall when we thought a helpful person was telling us which bus stop we needed to get off at. Which we did, only for us to be nowhere near and for him to proceed to try and scam us into getting in his waiting taxi. Read the full story here. Other than if it’s your first time on an extended backpacking trip or visiting a destination with a culture different to your own, these essential backpacking safety tips will stand you in good stead. Internet access is widely available in China, that won’t be problem be a problem for you. It’s the government censorship of certain websites that will affect you. Western favourites such as Facebook, Twitter, Instagram, YouTube, Google are not available in China. However, there is a work around for this. You can just get yourself a VPN that will mask the fact that you are in China. There are some free ones available but the one we used in China, which we can personally vouch for is VyprVPN. While backpacking China, it will also be helpful for you to get a local SIM card. Your hostel will be able to help you with this. China Mobile and China Unicom are the main providers. Just make sure your phone is unlocked before you travel. WeChat – with other social media apps out of the window, this is what people use in China. From chatting with friends to restaurants recommendations and even paying for things, it’s like What’s App on steroids. Waygo – unless you can read Chinese, you’re going to want to download this handy little app for backpacking China. It will translate everything from menus to street signs. Maps.Me – not specific to backpacking in China, this offline maps app is the best sn will get you anywhere you need to be even if you’re in a signal black hole. 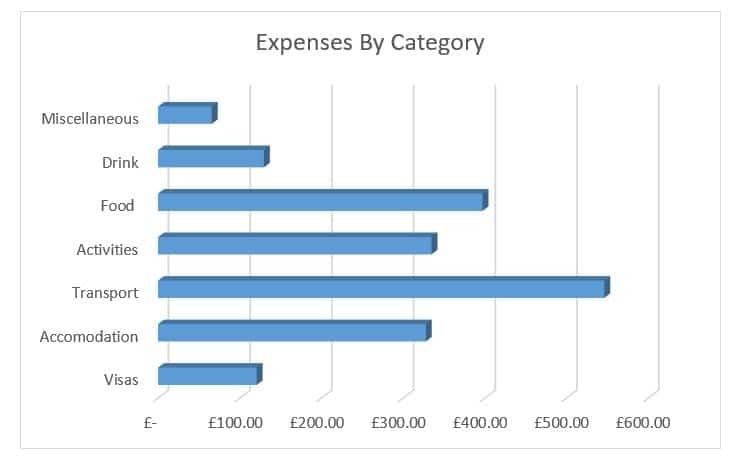 Trail Wallet – again, not country specific, but if you are trying to keep your backpacking China budget low you need this to record your spends and keeps your costs on track. Okay so applying for our backpacking China visas was difficult. Scrap that it was a horror show. Very naively we assumed we would be able to apply for China visas at any Chinese embassy in the world. We were wrong. Very wrong. 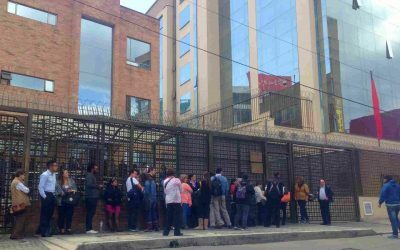 Long story short, after 3 wasted days at the Chinese embassy in Bogota, non-refundable flights booked from Colombia to Beijing, we flew to Beijing and onto Hong Kong where we were able to pay an agency through our hostel to arrange the visas on our behalf. The reason we ended up in this predicament was because once issued, Chinese visas are only valid for 6 months and so had we obtained them in England before we had set off travelling 6 months, they would have already expired. 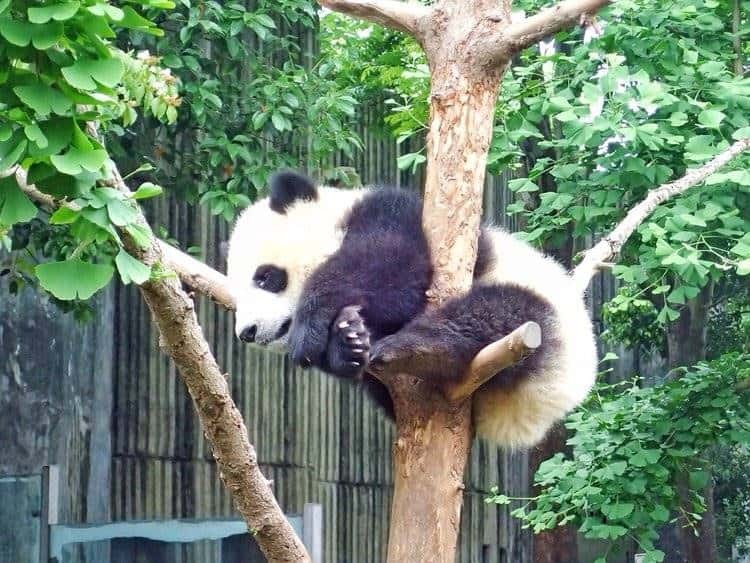 Anyway, moral of story, the easiest place to obtain a visa for backpacking in China is in your home country. If this is not possible, as in our case, double and triple check where you will be able to get this on route and if necessary start your trip to China in Hong Kong. Also be aware that if you are planning on applying direct with the Chinese embassy yourself, China visa requirements dictate that you have your whole itinerary mapped out with accomodation and transports booked and paid for in advance. You don’t typically have to do this where you get an agency to apply for a China visa on your behalf. 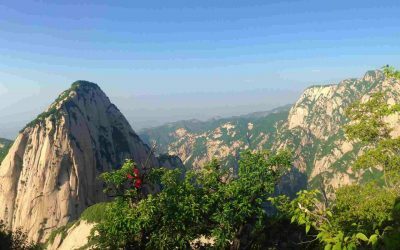 So although it costs more, around £15 GBP / $20 USD in Hong Kong, we think it’s worth it to get you flexibility in your backpacking China itinerary. So I read this thinking ‘Wow, I want to go there!’ And then I remembered….. I am here!! Great post guys, we’ll be doing budget posts too so we’ll see how we match up cost wise 🙂 we’re off to Shanghai during the National Holiday next week, I’m very exciting to do our first bit of proper exploring here. 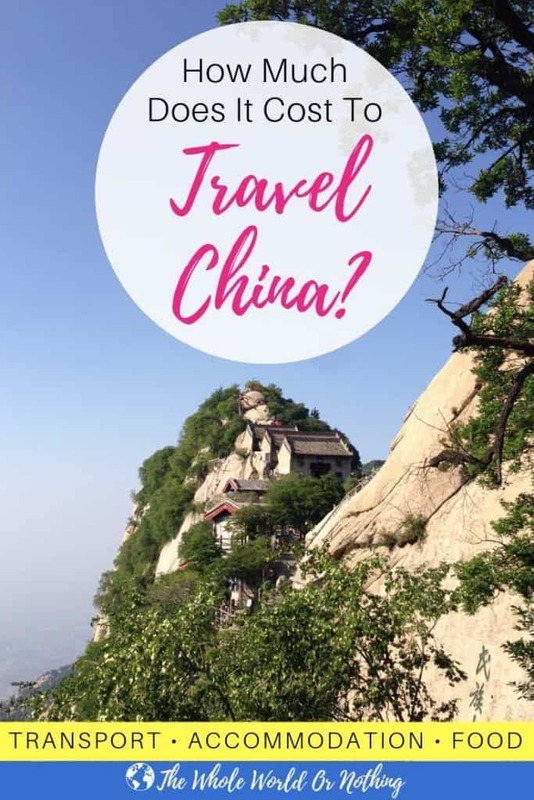 Awesome Read, really informative, making me even more excited for our planned travels through China Next year, thank you, will be showing my husband this blog later. Hey Jo, so happy you enjoyed it. 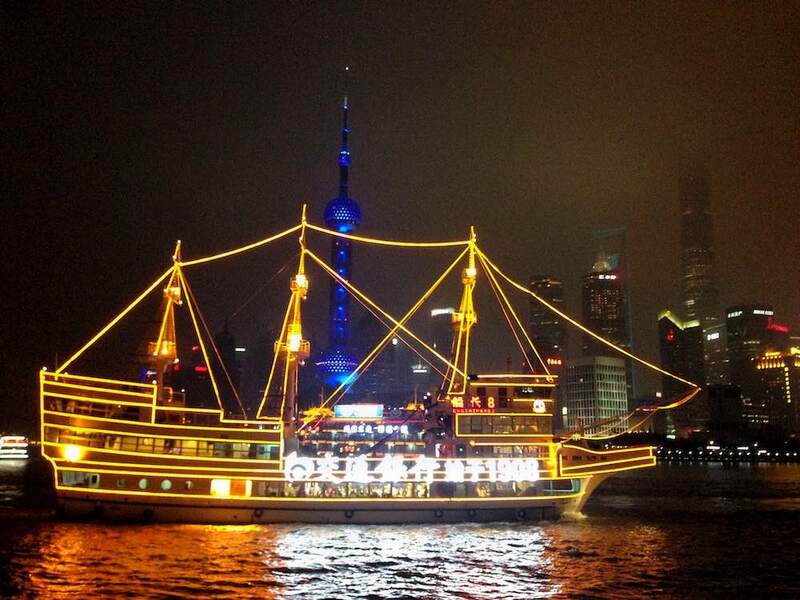 China is an amazing country to visit so we’re sure you’ll have a blast, we certainly did. Happy travels! Hi. Thanks for the useful Blog. Could you recommend the name of the agency in HK that provided you with the visas? How did it go exactly? Did you contact them before arriving in HK or only once you had arrived in HK? Did you need to have a flight to China already booked from HK in order to get the visa? As I understand, they didn’t need your itinerary and hotel bookings there, is that correct? And also, how many days to get the visa? Unfortunately we can’t recall the name of the agency we used because it was arranged through the hostel we were staying in. The hostel was called Yessin Causeway Bay and they recommended the agency we used. We provided them with our passports and they sorted everything else. It took 3 days and we were then able to go and pick up our passports from the office with the Chinese visas attached inside. We didn’t need to provide an itinerary to them or any hotel bookings, and we didn’t need a flight booked from Hong Kong, in fact we went into China by train overland. The visa was for 30 days, this is what they recommended we apply for as it was our first visit to China and it was the number of days most likely to be approved. They mentioned that if we visited again we could apply for a longer duration and that would be more likely to be approved due to already having obtained a visa in the past. It was a very hands off process where we literally gave them our passports and then received them back with the visa in! Hope this helps.